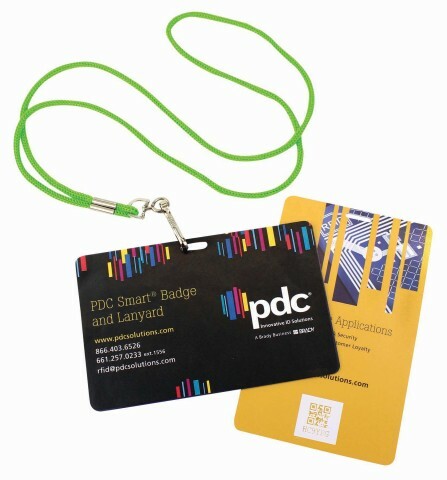 PDC Smart® Badges with Pouch and Lanyard can be used for staff access control and time-keeping, special events & VIP access. PVC pouch protects badge for long-term use. Attaches to custom full-color lanyard for maximum branding. Maximize your brand and message with full-color printing on both the badge and lanyard. The PVC pouch protects the badge from everyday wear and environmental elements, making it ideal for long-term use. Full-color custom printing: Available for front & back. Artwork set-up charges apply. Full-color custom sublimation printing: Full-color, dual-sided. Artwork set-up charges apply. 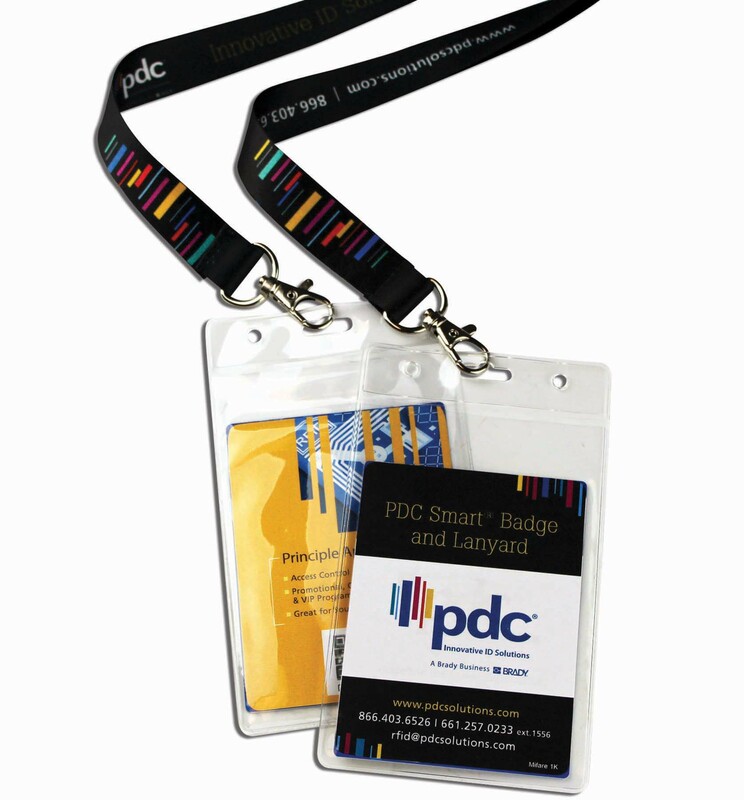 PDC Smart® Badge and Lanyard can be issued for staff access control and time keeping, special events & VIP access. Badge connects directly to cord lanyard.